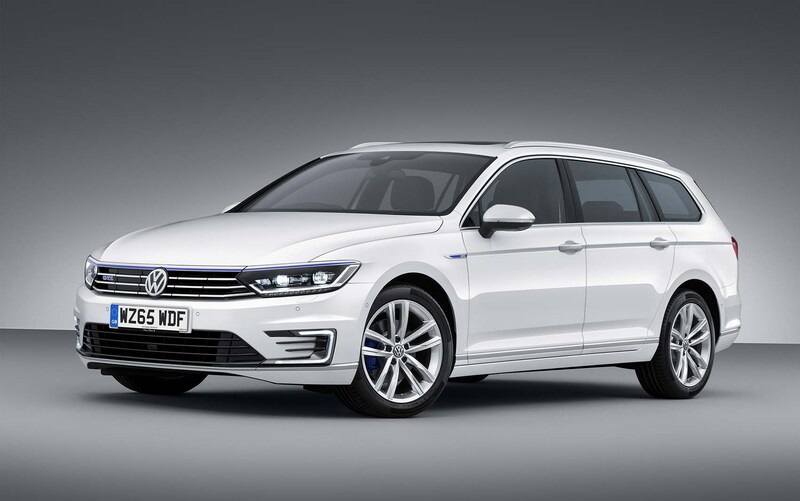 VW Passat Estate GTE: this hybrid is so popular, they've taken it off sale! Electric cars may be final step in low-emission transport, but in 2019 hybrid cars are proving an increasingly popular halfway house. Dual energy vehicles are growing in popularity and can be a clever way to bridge the gap between internal combustion engines and fully electric cars. If you’re not quite ready to take the plunge and run an electric vehicle (EV), then the chances are a hybrid or plug-in car could be just the stepping stone you need. Why? Because a hybrid car is an electric car, of sorts - just one that relies on an additional petrol or diesel engine to do some of the propulsion. As such, you’ll always have a get-you-home mode that sidesteps the range anxiety and high purchase price of a pure EV, yet still qualify for cheaper company car tax, annual VED bills, ULEZ and Congestion Charge tolls. How much does it cost to run a hybrid car? However, you won't get a grant anymore. 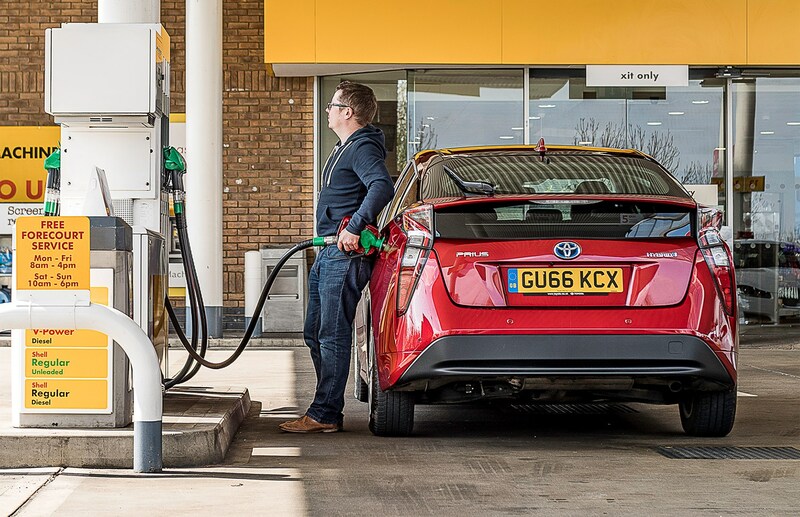 The UK Government has revised the terms of the electric vehicle subsidy or 'plug-in car grant' known as PiCG - in a way that excludes some of the UK's most popular eco-friendly cars. Electric cars now have a reduced grant, and hybrid have lost any financial incentive altogether. Essentially, the goverment's program to encourage hybrid and electric car sales has been way more popular than it expected: Figures published at the time of the last review suggest that before March last year the grant could have cost as much as £600 million; when announced in 2011 the initial budget was £43 million. It had already been extended twice due to slow takeup of alternative fuel vehicles early on – but now it's gone the other way. Nevertheless, you can still save money on electric cars, and we've gathered the best ones in the article below. Otherwise read on as we cluster different models together, naming our favourite picks in each segment. Just remember, different driving styles and environments will suit different powertrains: if you regularly do long-distance journeys, you may be better off sticking with an efficient modern diesel or downsized petrol engine; if you mostly drive around town, why not consider a pure electric car? Do the maths and work out if a hybrid is worth it before you commit. Toyota has given its mid-sized five door hatchback and estate a substantial reworking – including a new 2.0-litre, performance-focused engine – so much so that it’s dug up the most popular badge in the world to affix to its bootlid. So farewell Toyota Auris – and hello (again) Toyota Corolla. Read our Toyota Corolla review here. The Audi takes the familiar A3 five-door bodystyle and adds the 1.4-litre TFSI petrol engine, mated to an electric motor. By juggling the two power sources, the Germans manage to squeeze CO2 emissions down to just 38g/km (on paper! ), meaning you’ll be saving money both at the pumps - and in your annual tax bills. One of the most radically shaped hybrid cars in our list, the BMW i3 is fundamentally an electric car but was available until winter 2018 as a plug-in hybrid PHEV model (marked by its twin charging ports on the right-hand side, see above). Dubbed REX, or range-extender, it used a tiny two-cylinder petrol engine on board to charge the batteries, giving useful range and flexibility to the BMW i3 range. However, with ever-greater battery range, Munich decided this autumn to discontinue it. Snap up one of the last i3 remaining REX models if you fancy a plug-in hybrid version. The Mini Countryman small crossover is available as a plug-in hybrid, meaning you can charge up at home and start every day with a full battery for around 26 miles of silent, zero-emissions progress. Yet performance is eager, too, with a punchy three-cylinder petrol engine working in tandem with the electric motor to create combined power output of 224bhp. Prices for the Mini hybrid start at around £32,000 in the UK. The smallest hybrid currently on UK sale is, perhaps inevitably, a Toyota. With the longest experience of developing petrol-electric cars, the Japanese have slotted everything they know about self-charging hybrid tech into the small Yaris supermini, which is priced from around £13,000. 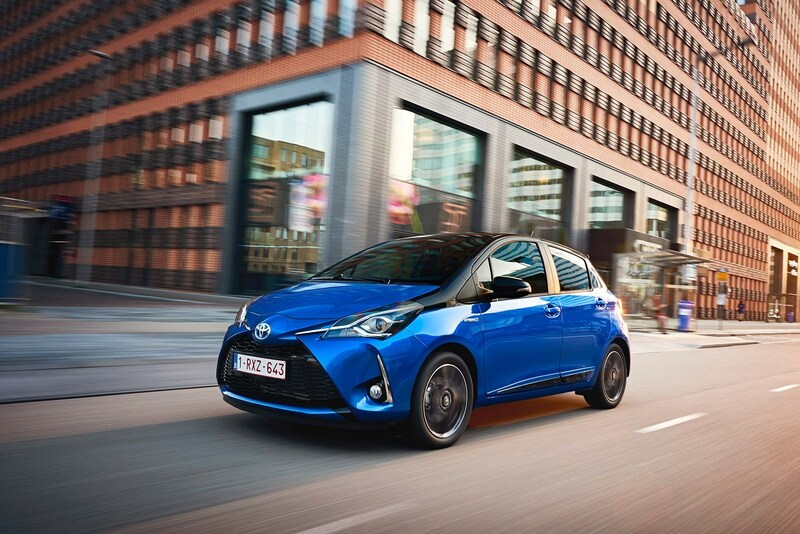 Toyota quotes up to 76mpg fuel economy and CO2 emissions stand at 84g/km. It’s pricey, but the £66k Q7 E-Tron packs a lot of clever plug-in hybrid gubbins into its huge footprint: there are five seats (you lose the rear-most row in favour of batteries) and it uses active engine mounts to hide its 3.0 V6 TDI diesel power. Audi quotes 0-62mph in 6.0sec and 46g/km of CO2, so it’s quick and impressively parsimonious - on paper. That big battery needs nearly three hours to charge on a fast charge - and more like eight on a three-point plug at home, so make sure you have the correct charging facilities is our advice. The Kia Niro Hybrid is well placed, mixing petrol and electric power to good effect: the Koreans quote 74mpg efficiency, 86g/km CO2 emissions and a long, industry-leading seven-year/100,000-mile warranty. One of the most successful plug-in hybrid models ever sold in the UK, Mitsubishi cleverly identified the PHEV trend early and combined it with a popular SUV bodystyle to devastating effect. Although the marketplace has become more crowded now, the Outlander remains a smart choice, with prices from £34,000 and around 30 miles on silent EV mode. The C-HR packs the Prius’s hybrid powertrain into a more zeitgeisty crossover bodyshell that feels like it made a break from the concept car paddock at Toyota HQ. The C-HR is far from a dull old Toyota, with interesting styling inside and out, plus the lure of 74mpg economy, 86g/km CO2 emissions and prices from around £25,000. Not for nothing was it named as 2018 Parkers New Car of the Year. A classic of the breed, the BMW 3-series hybrid adds an 87bhp electric motor to the familiar 2.0-litre engine, bringing a theoretical 25-mile electric range and some attractive tax breaks, saving company car drivers a good couple of hundred pounds a month. It’s only available as a four-door saloon, but remember that the new 3-series has just been unveiled and we expect the new G20 generation to extend hybridisation even further across the range. Like the 3-series hybrid, the 5-series is only available in electrified form as a four-door saloon. Blame the greater popularity of the sedan globally - and the complications of a raised boot floor, whose batteries can eat up precious cargo space required in a load-lugging estate. Regardless, the 530e iPerformance model shares the Three’s similar technology, with a mode for performance, efficiency or to charge up the battery so you can enter a city centre on whisper-quiet electric power. One of the most familiar car shapes in Britain is now available with hybrid power - and the price of entry starts at around £26,000. There’s little show-offy about the Mondeo Hybrid; it looks to all intents and purposes like a cooking or garden Mondeo, yet the electrified powertrain cuts CO2 emissions to 108g/km while claimed fuel economy stands at 59mpg. The Ioniq is that rare thing: a car that’s available in three different electrified forms - as a hybrid, a plug-in hybrid or a pure electric car. It’s a nice size; a little smaller than the Prius but roomy enough for daily life. 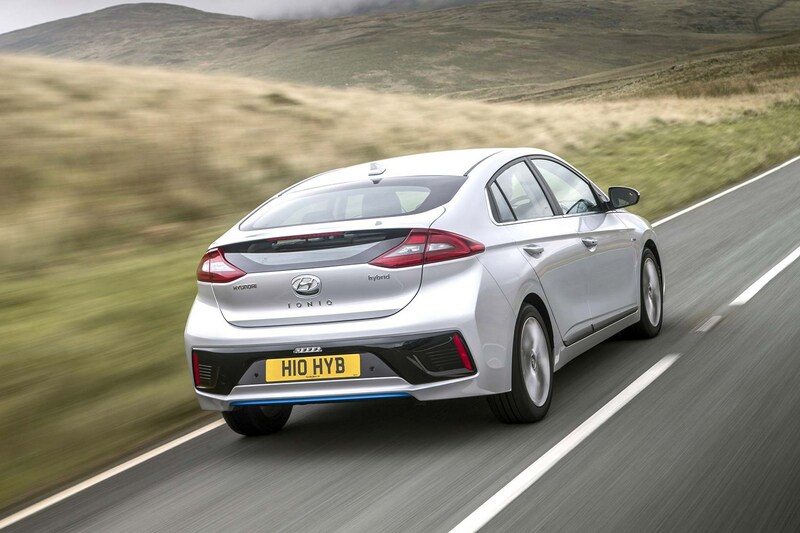 The Ioniq Hybrid costs from around £22,000, whereas the Ioniq Plug In balloons to around £26,000, thanks to its bigger battery packs and 39-mile electric range. And when that battery depletes, the petrol engine kicks in to charge it back up - providing the best of both worlds. The big daddy of the hybrid car scene, the Prius is the original and - some would argue - the best. Look past its wilfully divisive, Marmitey styling and you’re left with an extremely clever family car. Pick from the regular (self-charging) Prius Hybrid model or the separately badged Prius Plug-In, which is a PHEV. It’s all very Ronseal: the former doesn’t require plugging in, whereas the latter does - if you want to experience its maximum electric range around town. Toyota quotes a 235mpg fuel economy figure and just 28g/km CO2 emissions for the Plug-In. Priced from around £22,000, you can pick up the wagon bodystyle in the Auris Hybrid to electrify your family lugging duties. Toyota claims up to 65mpg and CO2 emissions stand at 99g/km, to duck under many of the important tax and Congestion Charge thresholds. Toyota's hybrid car knowledge, specs and experience all wrapped up in a surprisingly practical bodyshell. The Auris will soon be relaunched in spring 2019 as the Corolla - and a petrol-electric version has already been confirmed. 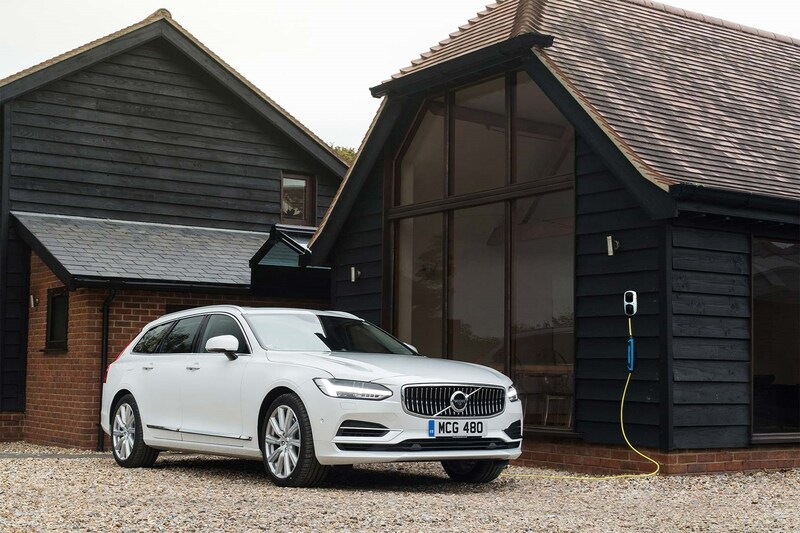 Volvo offers most of its big cars with Twin Engine hybrid spec, and one of our favourite is the big V90 estate. This is a good-looking car - and quick to boot, with a combined power output of 400bhp from the petrol and electric motors. If the V90 is too big, don’t forget you can pick any of the 90- or 60-series models with the same Twin Engine hybrid tech. Most stylish, head-turning hybrid car on sale today? Possibly. 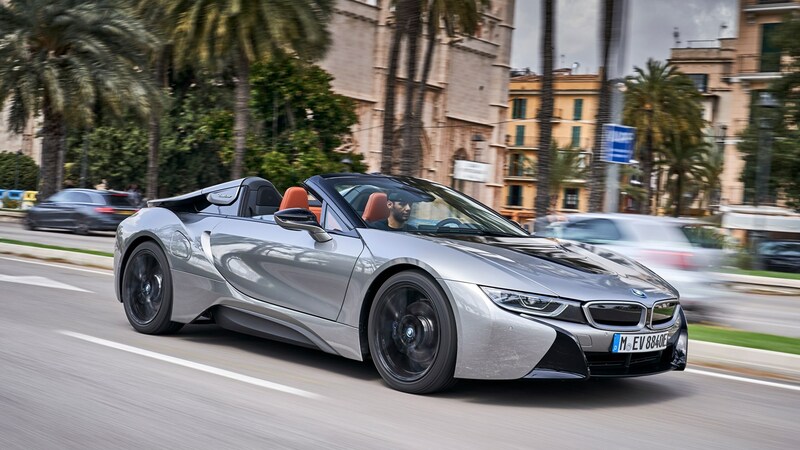 The i8’s been around for a good four years or so now and BMW has perfected its plug-in hybrid sports car. 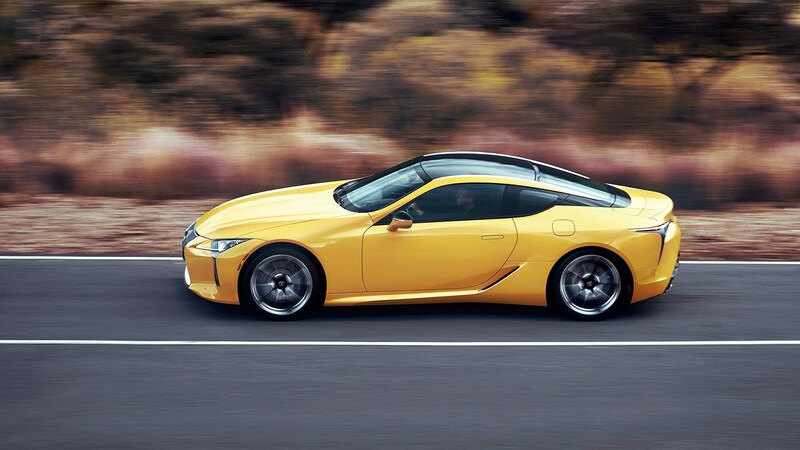 The latest edition is available as a coupe or roadster, and with a combined 369bhp, it’s no slouch: 0-62mph takes just 4.6 seconds (although high-speed acceleration runs will dent the EV range of 33 miles). 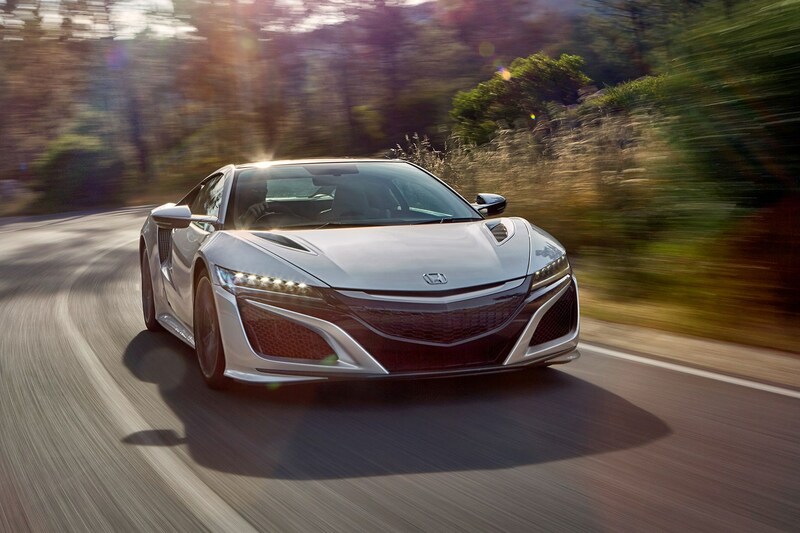 A Japanese foil to the German saber, the NSX goes about its business in a much more high-tech fashion. There’s a twin-turbo V6, three electric motors and all wheel drive - bringing a very serious indeed 565bhp, 0-62mph in three seconds and a punchy £144,000 price tag. Where do we sign? Do you agree with our choice of best hybrid cars? Are hybrids worth it? 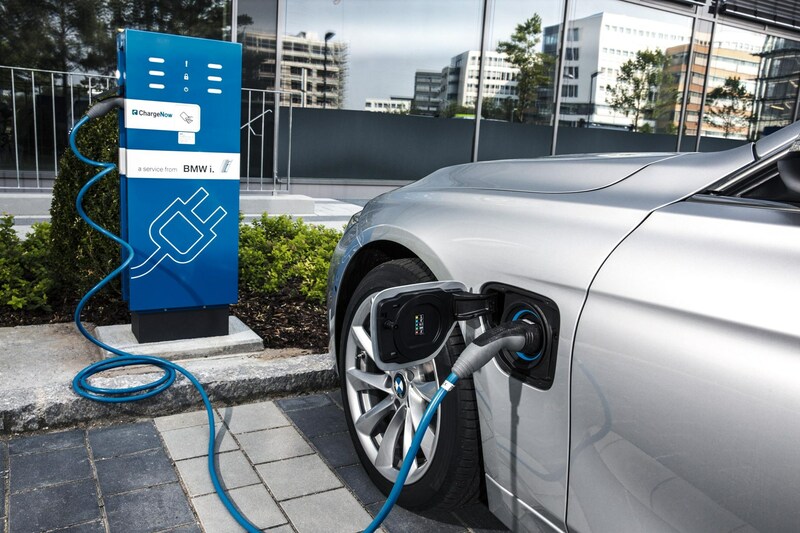 Are you running a plug-in hybrid or PHEV? Which hybrid car is the best? Do be sure to sound off in the comments below and tell us how you've got on with your petrol-electric or diesel hybrid. Nuts and bolts: how does a hybrid car work?